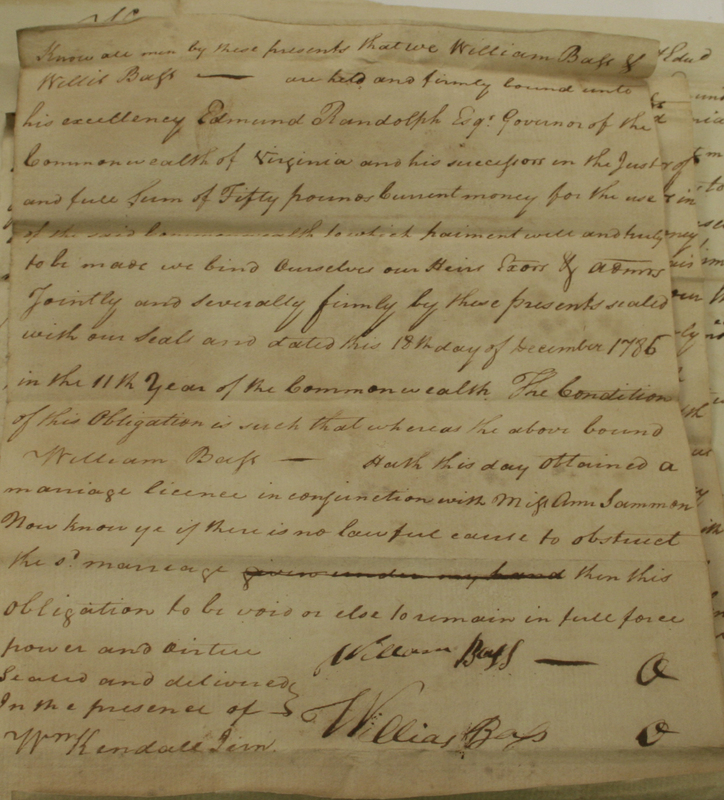 After discovering the 1786 marriage bond between William Bass and Ann Sammon, learning more about the Sammon family became one of my highest research priorities. Rather than waiting until I have resolution in this area, I decided to write a post about the research process. I am far from an expert but I have traveled hundreds of miles to collect information and, through trial and error, I have learned enough to share about strategy and efficiency. These points apply to all genealogical research questions but they are most important when deciding whether or not to travel for research. 1. Study direct and indirect relationships. Direct relationships are those that are part of your line of descent (and are supported by historical records). In this case, William Bass and Ann Sammon meet these criteria through their marriage bond and a collection of records relating to their lives in Camden County, NC. Indirect relationships are those that are not part of your line of descent but support a part your story. In this case, William Bass and David Hall were cousins. 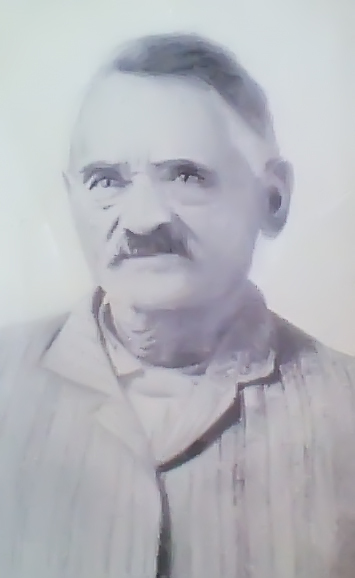 David Hall left a will naming Willoughby Sammons as his son. Based on proximity and closeness in age, one can assume that William’s wife and Willoughby’s mother were from the same Sammon(s) family. As you study relationships, note variations in name spelling. Some names are spelled more consistently than others but Sammon was spelled as Salmon(s) and Sammon(s) in almost equal frequency. I recommend exploring as many potential relationships as you can before traveling—family, friends, neighbors (names that repeatedly appear nearby in the census). If your research question requires familiarity with multiple generations, I recommend creating a matrix with the names of people in each generation and their place(s) of residence. This is important because you may not always see a person of interest in records but you may see his/her parents, siblings, and/or other relatives. If you do not recognize relatives you may miss some significant leads. In preparation for doing further Salmon(s)/Sammon(s) research, I scoured the Internet for people in the general place and time of interest. (Note: Searching the Internet for your ancestors is NOT a good idea unless you are prepared to validate everything you find. In this case, I was willing to search as a starting point because most early Virginian families have some amount of information to be considered.) My search led me to a Salmon family in Lower Norfolk during the 1600s. William Salmon (b. 1665) married Mary Edwards. They had a son, also named William Salmon (b. 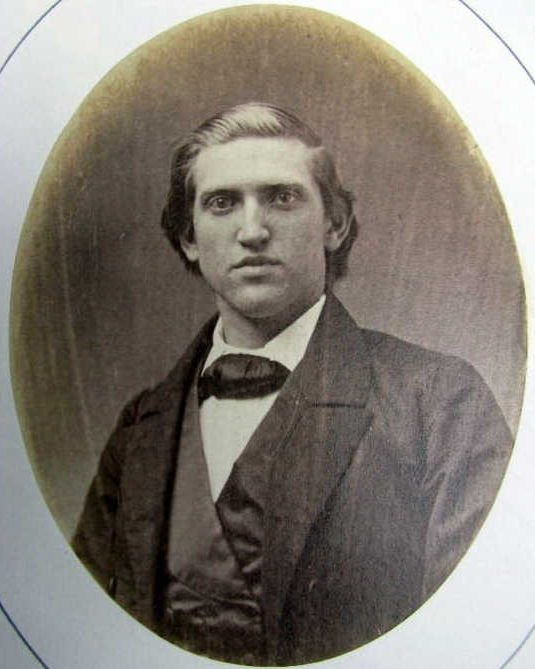 1685) who married Abiah Fentress (b. 1690). They had two sons, William Salmon (b. 1711) and Willoughby Salmon (b. 1725). I have no information to support any of these relationships yet but the proximity and time fit with this research. The Salmon(s)/Sammon(s) family migrated from Lower Norfolk to Princess Anne (Pungo Ridge). See their general location compared to the Bass family on the Layered Map. 2. Study locations, county/state lines, and means of transportation. In colonial times county lines were dynamic. This is important because you may have one family, in one physical location, that has records in two or more counties because of line changes. Camden County was formed from Pasquotank County in 1777. This happened precisely in the middle of the period of interest for this family so I will need to collect records for both counties. Camden and Pasquotank counties are bordered by Currituck, Gates, Perquimans, and Norfolk (at the Virginia line). Norfolk County—originally called New Norfolk—was divided into Upper Norfolk and Lower Norfolk in 1637. Lower Norfolk was then divided into Norfolk County and Princess Anne County in 1691. These two areas are very close to Camden and relevant to many relationships. People traveled from Norfolk County to Camden County along the Dismal Swamp Canal (on the western side of Camden) as early as the late 1700s/early 1800s. There were also old roads running from the Southern Branch of the Elizabeth River in Norfolk County to Currituck County (on the eastern side of Camden). During this time, people traveled on foot, by horse, and by ferries. 3. Find out which records survive for your location and time of interest. The Family History Research Wiki is a great site to find beginning dates for multiple county government’s records in one place. Many of these “beginning” dates do not correspond to the beginning of record keeping–they correspond to what remains after destructive events in the American history (e.g. courthouse burnings during war time). Missing records can be a challenge but they present an opportunity to be creative. In many cases, a collection of records can answer the same questions as a single missing record. 4. Find out what is available online or at a research center. Time spent researching on location is precious. You will want to collect as much information as possible and not waste any time collecting records that can be accessed (in the same form) online. As you sort out resources, create a list of what you want to retrieve and where it is located (including addresses and telephone numbers when applicable). Family History Centers and some public libraries enable patrons to borrow records that would otherwise require travel to obtain. 5. Find historical societies and research groups that specialize in your area. Historical societies can contain an incredible amount of information. I have used the Family Research Society of Northeastern North Carolina (FRSNNC) to answer many questions about Camden. The FRSNNC also has a large catalog of indexed genealogical publications which can save researchers a significant amount of time. I may join the Norfolk County Virginia Historical Society and/or the Princess Anne County/Virginia Beach Historical Society if my research continues to increase in these areas. These 5 recommendations guarantee increased efficiency in genealogical research. I have traveled to collect records without doing these things and spent days regretting missed opportunities–if I only searched for that one extra person, if I only drove 15 minutes to search in that one extra courthouse, if I only stopped by the historical society. I hope that this list will help other researchers to prepare for exciting and productive research travel. tells the story of John Salmon Sr. (b. 1630) who was imported as an indentured servant from England to Lower Norfolk County, Virginia and his son, John Salmon Jr. (b. 1655) who was born and died in Princess Anne County, Virginia. I believe that this is the family my Sammon ancestor descended from; however, a number of data gaps remain to be filled. You may have to register for the site but this is a free offering. Thank you so much for this pointer!